Apple’s iPad Air and iPad Mini aren’t the only older Apple products getting a hardware refresh. The tech giant has announced that both its 21.5-inch and 27-inch iMac models are set to get processor, graphics card and RAM upgrades. 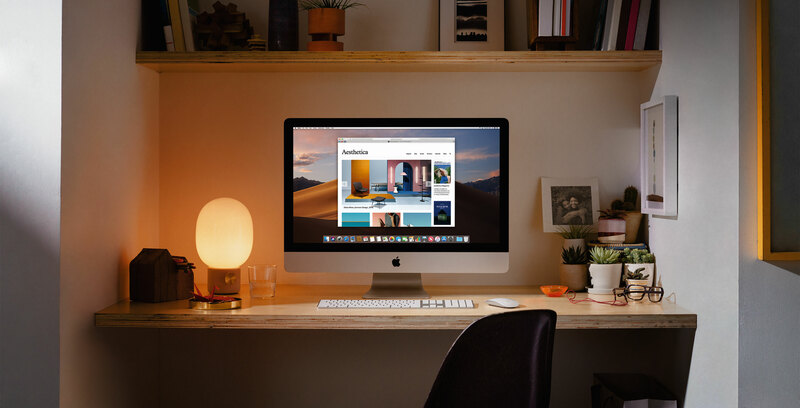 The 21.5-inch iMac now features Intel’s quad-core and 6-core ‘Coffee Lake’ 8th-generation processor, along with the option for Radeon Pro Vega graphics card. This results in a 60 percent performance boost over the 7th-generation ‘Kaby Lake’ Intel processor featured in its predecessor. Graphics card wise, Apple says the Radeon Vega is an 80 percent performance boost over the Radeon Pro 555. The 27-inch iMac, on the other hand, is also getting a spec bump up to 6-core and 8-core Intel 9th-generation processors, resulting in a performance boost of 2.4 times over the current 8th-generation processors included in its predecessor. Regarding graphics cards, the Radeon Pro Vega, which includes 8GB of high bandwidth memory, is also available in the 27-inch iMac. Apple says this new graphics card results in a 50 percent performance improvement over the Radeon Pro 580. Across both the 21.5-inch and 27-inch iMac all RAM has been upgraded to DDR4 memory. Also, to be clear, these hardware upgrades only apply to Apple’s retina iMacs. This means that the base level $1,099 iMac isn’t getting these hardware improvements. Apple is also still selling the ‘work station’ level iMac Pro. Concerning other specs and the overall build of the 21.5-inch and 27-inch iMac, everything else remains identical to the Kaby Lake version of both desktops. Though this iMac hardware upgrade is a little overdue at this point, it’s nice to see Apple paying attention to the iMac for a change. Both the 21.5-inch and 27-inch iMac are available to order now on Apple’s Canadian website as well as at Apple Stores.